To say my trip to Austria was a wonderful, amazing experience would be an understatement. I learned many things while abroad, not only about the German language but also about culture, humility, independence, and much more. 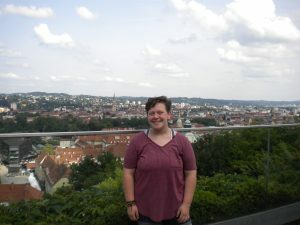 I, as well as two other students from Batesville High School and many other students from all over Indiana, traveled to Graz, Austria for a rigorous six-week program centered on learning the German language and Austrian culture. 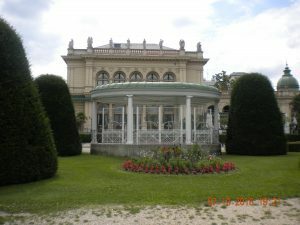 While in Austria, we stayed with host families, attended daily classes on subjects like literature, culture, grammar, and phonetics, went on excursions with our class, and more. 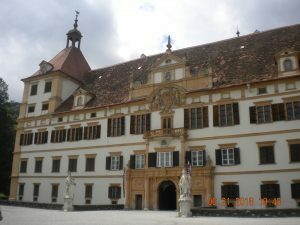 Our school excursions consisted of many different activities, such as going on a tasting tour at the Zotter Chocolate Factory, hiking in the Alps, visiting illustrious castles, such as the Eggenberg Palace, and playing games in the city park, to name a few. Despite all of the beautiful sights and delicious chocolate, one of my favorite class trips was when we went to Volkshilfe, a local nursing home, and volunteered. 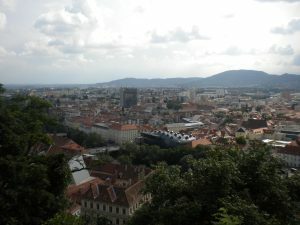 It was so wonderful to not only live in the gorgeous city of Graz, but to also be able to give back to the community. At Volkshilfe, we sang the Bundeshymne, or National Anthem of Austria, and met with some of the residents there. I met with three women who were born and raised in Graz and had never been to the United States. 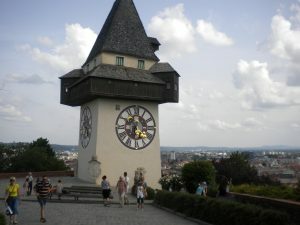 They told me about what they loved about Graz, what they enjoyed doing when they were my age, and asked questions about life in America, my hometown, school, and family, and what I think of Austria. We connected very well and they ended up asking me for my address so we could keep in contact. After our 5- week stay in Graz, we ventured to Gesäuse National Park where we engaged in activities such as archery, ziplining, rafting, hiking, and more. Being at the camp was a great opportunity to relax and become closer with fellow students in the group. Our final two days in Austria were spent sightseeing in the capitol, Vienna. 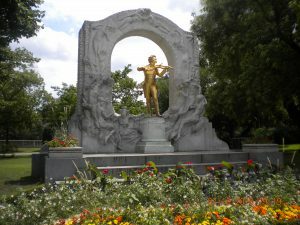 We visited Schönbrunn, a castle regarded as one of the most luxurious in Europe, St. Stephen’s Cathedral, and many other places around Vienna and took a sightseeing bus tour around the city. For me, going to Austria did more than strengthen my German skills. 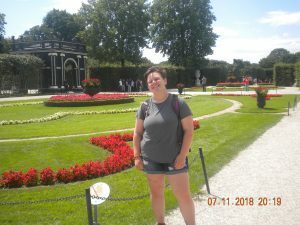 While only being permitted to speak German for six weeks really improves one’s knowledge and fluency, being able to connect and talk with people who didn’t know English brought unspeakable joy to me. My host family was from Croatia, and my host parents only spoke Croatian and German. It was an absolute pleasure to get to know them, which is something I would not have been able to do without German knowledge. It was also amazing to see our conversations develop from simple things like what I enjoy doing, if I was hungry or tired, or when I was homesick, to complex topics such as politics, religion, what we strive to achieve in life, and much more. 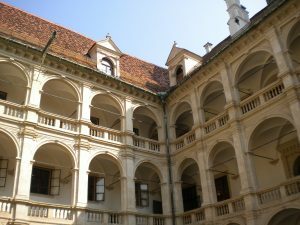 Before studying in Austria, I was almost certain I wanted to study German in college and pursue a career in the foreign language education field. Now, I have no doubts about my passion for German, my love for travel and learning, and my desire to continue to learn more. Without the generous donation from the Batesville Community Education Foundation, I do not believe I would have been able to study abroad. A huge financial burden was lifted off of my family’s shoulders, and for that I have nothing but gratitude for the BCEF. 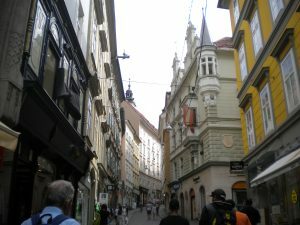 I am so very grateful for the BCEF sponsorship to study in Austria; it was nothing short of a life-changing experience.